A couple of the new stamps, designed by Trish Latimer at StarTrishDesigns, on Etsy, arrived last week and I just had to play! When they arrived I was pleasantly surprised. They are big enough to use in journaling and scrappin’ but okay on a card too! While over in Mount Gambier at the weekend at a casual crafting session, I had a go at colouring this one in. 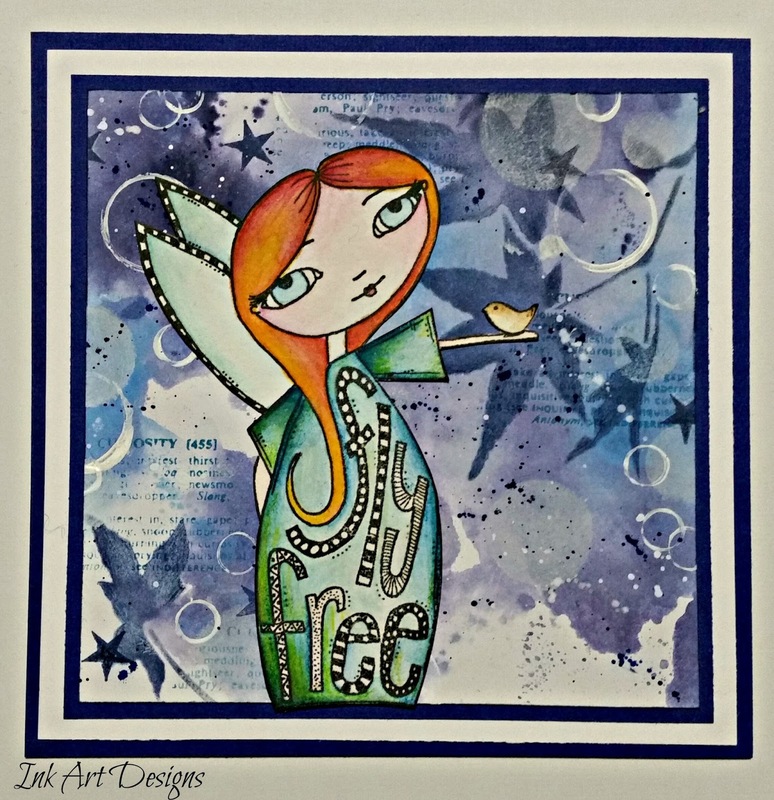 I combined my Inktense pencils with distress inks and just played. There is something really therapeutic about just sitting with a group of chatty women and colouring in. Time went so quickly, then it was the trip back to town through kangaroo country after dark…lol, that will teach me for talking too much! Out came my distress paints!